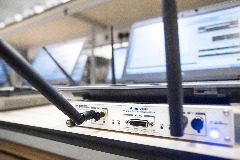 The Wireless Prototyping Fundamentals course provides an introduction to rapid prototyping of wireless systems with the LabVIEW Communications System Design Suite. You will learn how to navigate the LabVIEW Communications environment, including the panel, diagram, system designer, projects, and design languages. In this course, you will follow a typical design flow to design an algorithm and define the system architecture. You will perform analysis and profiling and then convert a floating point algorithm to fixed point before compiling and deploying it to the FPGA. 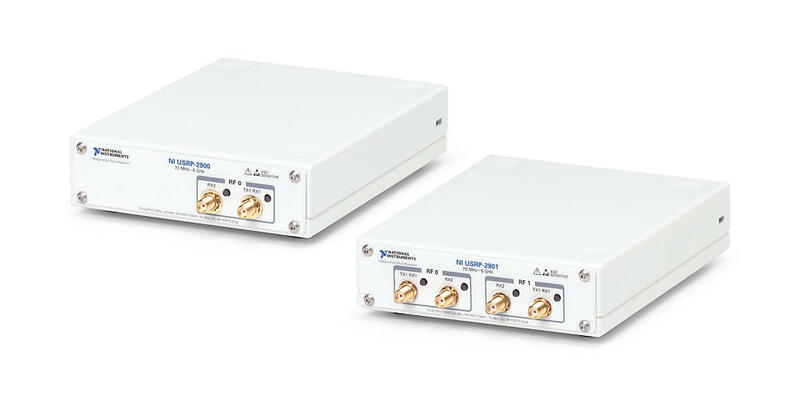 At the end of this course, you will have a working OFDM transceiver. This course is only taught by NI instructors through the NI Training and Certification program. Select the "Learn More" button below for more details. This lesson introduces the NI Software-Defined Radio platform for wireless prototyping using the LabVIEW Communications design environment. 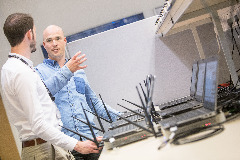 You learn the challenges facing the wireless industry and some solutions for overcoming them. 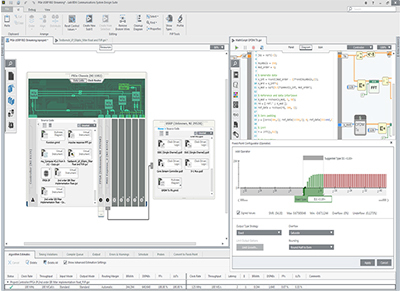 You will identify the different FPGA design languages native to LabVIEW Communications. You explore the LabVIEW Communications environment and identify the components of a system architecture and then explore a sample project. 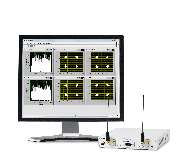 Explore the LabVIEW Communications System Design Suite interface and the tools to build a VI. You learn the components of VI and purpose of objects on the panel and diagram. You will learn the tools to debug your VI and the text based languages that are supported in the LabVIEW Communications environment. This lesson covers best practices when programming parallel loops. You practice using duplicate terminals and queues to communicate data. This lesson provides an overview of the different design languages for FPGA. You learn to identify the similarities and differences and the benefits of each one, and how to select which one to use for a given scenario. This lesson explores Multirate Diagram in more detail and covers the ways in which it helps you iterate more quickly on your algorithm design. In this lesson, you learn to use the time-saving and project-specific properties of the FPGA IP. This lesson explains basic digital design theory and how to use data transfer and storage tools for synchronization. You learn the different considerations for timing a digital signals, the reason to use FIFOs with clock-driven loops, and the purpose of handshaking. This lesson presents some best practices for ensuring a successful compile as well as third-party integrations.